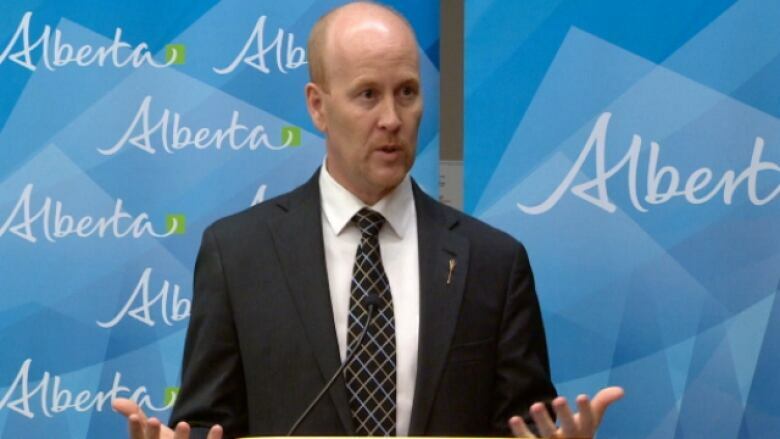 Alberta's education minister says he'll stay the course despite a loss of confidence vote from the teachers' union. Over the weekend, the Alberta Teachers' Association (ATA) voted unanimously to say they have lost confidence in the minister. The backlash follows a recent report from a provincial task force on education. Among the recommendations is a proposal to evaluate teachers every five years and having the province take that responsibility away from the ATA. Speaking to CBC's Mark Connolly on Edmonton AM Tuesday morning, Jeff Johnson said he has heard the union's message. “They’re there to represent their members, they’re there to represent their organization. I’m here to represent students," he said. ATA president Mark Ramsankar is taking exception to Johnson's remarks. "For anybody to suggest that teachers in this province are in this for self interest, that's ludicrous," he said. "We tried to deliver some reassurance for them that we won't rush to implement these recommendations from this independent report, but we do have some issues we have to work through and we can't ignore those." The province will collect feedback from the public, the ATA and other provincial school boards over the next few months.